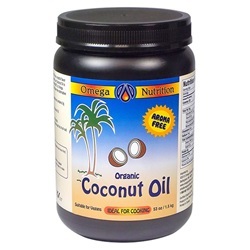 Omega Nutrition organic coconut oil is vegan, gluten-free, kosher, and made from organic fresh coconuts. This healthy, unrefined, tropical oil is great for cooking, baking, and frying, can be used as a butter substitute, and goes great in smoothies and other healthy recipes. May help support a healthy immune system. Coconut Oil is predominantly made up of medium-chain triglycerides. Medium-chain triglycerides are converted into energy, and do not store as fat. Medium-chain triglycerides could enable the body to metabolize fat efficiently. Coconut Oil contains lauric acid. Coconut Oil is more heat stable than other plant based oils, and so does not create trans fatty acids when cooked at higher temperatures. This healthy coconut oil is non-hydrogenated and contains no trans-fatty acids. 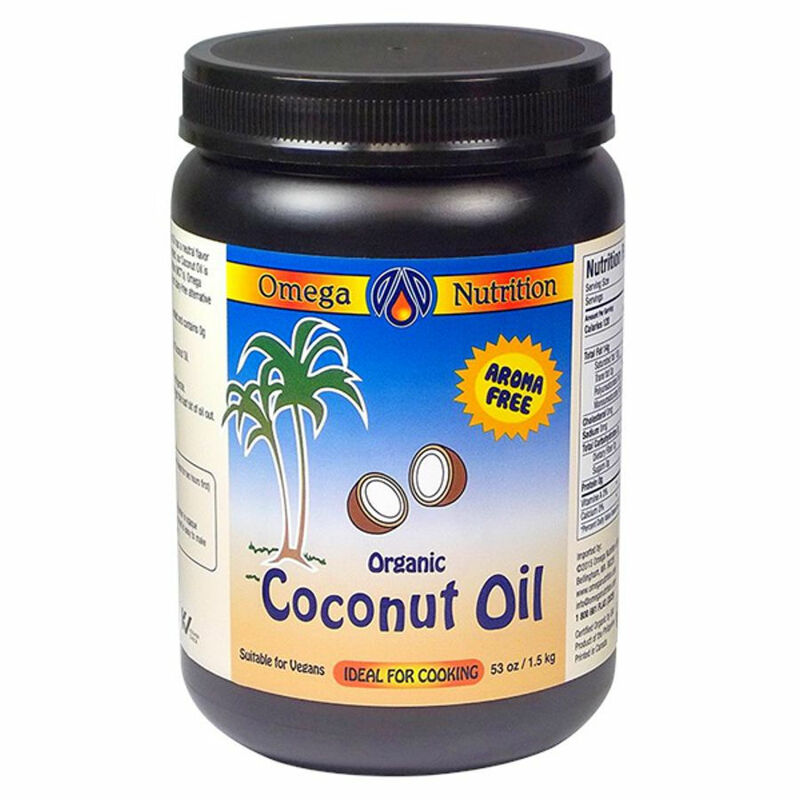 Omega Nutrition's organic coconut oil is ideal for high heat cooking and baking. This coconut oil flavor is very light and doesn"t carry over to effect the taste of your dishes! Coconut oil is high in lauric acid, which has proven anti-microbial properties.